Request a Protector Air Free Trial Today! 1.Background. The Site is intended to provide corporate information and documents with regards to Trusted Knight Corporation provide support to Trusted Knight customers and enable visitors to contact Trusted Knight representatives. 2.Consent and Modification. By visiting or using this Site, you signify your assent to these Terms. These Terms apply to all users of the Site. If you do not agree to these Terms then please do not access or otherwise use the Site. We reserve the right, at our discretion, to change these Terms at any time. Such change will be effective ten (10) days following posting of the revised Terms on the Site, and your continued use of the Site thereafter means that you accept those changes. 3.Ability to Accept Terms. The Site is only intended for individuals aged thirteen (13) years or older. If you are under 13 years please do not visit or use the Site. If you are between 13 and 18 years of age, then you must review these Terms with you parent or guardian before visiting or using the Site to make sure that you and your parent or guardian understand these Terms and agree to them. 4.Site Access. For such time as these Terms are in effect, we hereby grant you permission to visit and use the Site provided that you comply with these Terms and applicable law. 5.Restrictions. You shall not: (i) copy, distribute or modify any part of the Site without our prior written authorization; (ii) use, modify, create derivative works of, transfer (by sale, resale, license, sublicense, download or otherwise), reproduce, distribute, display or disclose Content (defined below), except as expressly authorized herein; (iii) disrupt servers or networks connected to the Site; (iv) use or launch any automated system (including without limitation, “robots” and “spiders”) to access the Site; and/or (v) circumvent, disable or otherwise interfere with security-related features of the Site or features that prevent or restrict use or copying of any Content or that enforce limitations on use of the Site. 6.1. Content and Marks. The (i) content on the Site, including without limitation, the text, documents, articles, brochures, descriptions, products, software, graphics, photos, sounds, videos, interactive features, and services (collectively, the “Materials“), (ii) and User Submissions, as defined below (together with the Materials, the “Content“), and (iii) the trademarks, service marks and logos contained therein (“Marks“), are the property of Trusted Knight and/or its licensors and may be protected by applicable copyright or other intellectual property laws and treaties. Trusted Knight, the Trusted Knight logo, and other marks are Marks of Trusted Knight or its affiliates. All other trademarks, service marks, and logos used on the Site are the trademarks, service marks, or logos of their respective owners. We reserve all rights not expressly granted in and to the Site and the Content. 6.2. Use of Content. Content on the Site is provided to you for your information and personal use only and may not be used, modified, copied, distributed, transmitted, broadcast, displayed, sold, licensed, de-compiled, or otherwise exploited for any other purposes whatsoever without our prior written consent. If you download or print a copy of the Content you must retain all copyright and other proprietary notices contained therein. 7.1. Responsibility. The Site may permit the submission, hosting, sharing and publishing of Content by you and other users (“User Submissions“). You acknowledge that each Lead shall be considered a User Submission. You understand that whether or not such User Submissions are published, we do not guarantee any confidentiality with respect to any User Submissions. You shall be solely responsible for your User Submissions and the consequences of posting, publishing or uploading them. We have complete discretion whether to publish your User Submissions and we reserve the right in our sole discretion and without further notice to you, to monitor, censor, edit, remove, delete, and/or remove any and all Content posted on the Site (including User Submissions) at any time and for any reason. 7.2. Ownership. You represent and warrant that you own or have the necessary rights and permissions to use and authorize Trusted Knight to use all Intellectual Property Rights (defined below) in and to your User Submissions, and to enable inclusion and use thereof as contemplated by the Site and these Terms. Unless the User Submissions are separately referred to, all references herein to Content shall include references to User Submissions. “Intellectual Property Rights” means any and all rights, titles and interests, whether foreign or domestic, in and to any and all trade secrets, patents, copyrights, service marks, trademarks, know-how, or similar intellectual property rights, as well as any and all moral rights, rights of privacy, publicity and similar rights of any type under the laws or regulations of any governmental, regulatory, or judicial authority, foreign or domestic. You retain all of your ownership rights in and to your User Submissions. 7.3. License to User Submissions. By submitting the User Submissions to Trusted Knight, you hereby grant Trusted Knight a worldwide, irrevocable, non-exclusive, royalty-free, perpetual, sublicenseable and transferable license to use, reproduce, distribute, prepare derivative works of display, and perform the User Submissions in connection with the Site and Trusted Knights’s business, including without limitation for redistributing part or all of your User Submissions (and derivative works thereof) in any media formats and through any media channels and, and you hereby waive any moral rights in your User Submissions, to the extent permitted by law. You also hereby grant each user of the Site or other viewer or user of the User Submission a non-exclusive right to use, reproduce, distribute, prepare derivative works of, display and perform such User Submissions, all in accordance with these Terms. Prohibited Content. You agree that you will not display, post, submit, publish, upload or transmit a User Submission that: (i) is unfair or deceptive under the consumer protection laws of any jurisdiction; (ii) is copyrighted, protected by trade secret or otherwise subject to third party proprietary rights, including privacy and publicity rights, unless you are the owner of such rights; (iii) creates a risk to a person’s safety or health, creates a risk to public safety or health, compromises national security, or interferes with an investigation by law enforcement; (iv) impersonates another person; (v) promotes illegal drugs, violates export control laws, relates to illegal gambling, or illegal arms trafficking; (vi) is unlawful, defamatory, libelous, threatening, pornographic, harassing, hateful, racially or ethnically offensive, or encourages conduct that would be considered a criminal offense, gives rise to civil liability, violates any law, or is inappropriate; (vii) involves theft or terrorism; or (viii) is otherwise malicious or fraudulent. 7.4. Exposure. You understand and acknowledge that when accessing and using the Site: (i) you will be exposed to User Submissions from a variety of sources, and that Trusted Knight is not responsible for the accuracy, usefulness, safety, or Intellectual Property Rights of, or relating to, such User Submissions; and (ii) you may be exposed to User Submissions that are inaccurate, offensive, indecent, or objectionable. You hereby agree to waive, and hereby do waive, any legal or equitable rights or remedies you may have against Trusted Knight with respect to (i) and (ii) herein. 7.5. Spam. You agree not to, and will not, use the communications systems provided by the Site to send unauthorized commercial communications and you shall be solely responsible and liable for any such unauthorized communications. 8.Information Description. We attempt to be as accurate as possible. However, we cannot and do not warrant that the Content available on the Site is accurate, complete, reliable, current, or error-free. We reserve the right to make changes in or to the Content, or any part thereof, in our sole judgment, without the requirement of giving any notice prior to or after making such changes to the Content. Your use of the Content, or any part thereof, is made solely at your own risk and responsibility. 9.Disclosure. We reserve the right to access, read, preserve, and disclose any information that we obtain in connection with the Site, and your use thereof, as we reasonably believe is necessary to (i) satisfy any applicable law, regulation, legal process, subpoena or governmental request, (ii) enforce the Site Terms, including to investigate potential violations of them, (iii) detect, prevent, or otherwise address fraud, security or technical issues, (iv) respond to user support requests, or (v) protect the rights, property or safety of Trusted Knight, its users or the public. 10.2. Trusted Knight permits you to link to the Site provided that: (i) you link to but do not replicate any page on this Site; (ii) the hyperlink text shall accurately describe the Content as it appears on the Site; (iii) you shall not misrepresent your relationship with Trusted Knight or present any false information about Trusted Knight and shall not imply in any way that we are endorsing any services or products, unless we have given you our express prior consent; (iv) you shall not link from a website that you do not own; (v) your website, and domain name, does not contain content that (a) is offensive or controversial (both at our discretion), or (b) infringes any intellectual property, privacy rights, or other rights of any person or entity; and/or (vi) you, and your website, comply with these Terms and applicable law. 12.Copyright Policy. It is our policy to respect the legitimate rights of copyright and other intellectual property owners, and we will respond to clear notices of alleged copyright infringement in accordance with our Copyright and Content Policy which may be viewed at: www.trustedknight.com\copyright (“Copyright Notice“). 13.1. This section applies whether or not the services provided under the Site are for payment. Applicable law may not allow the exclusion of certain warranties, so to that extent certain exclusions set forth herein may not apply.13.2. THE SITE IS PROVIDED ON AN “AS IS” AND “AS AVAILABLE” BASIS, AND WITHOUT WARRANTIES OF ANY KIND EITHER EXPRESS OR IMPLIED. TRUSTED KNIGHT HEREBY DISCLAIMS ALL WARRANTIES, EXPRESS OR IMPLIED, INCLUDING BUT NOT LIMITED TO IMPLIED WARRANTIES OF MERCHANTABILITY, TITLE, FITNESS FOR A PARTICULAR PURPOSE, NON-INFRINGEMENT, AND THOSE ARISING BY STATUTE OR FROM A COURSE OF DEALING OR USAGE OF TRADE. TRUSTED KNIGHT DOES NOT GUARANTEE THAT THE SITE WILL BE FREE OF BUGS, SECURITY BREACHES, OR VIRUS ATTACKS. THE SITE MAY OCCASIONALLY BE UNAVAILABLE FOR ROUTINE MAINTENANCE, UPGRADING, OR OTHER REASONS. YOU AGREE THAT TRUSTED KNIGHT WILL NOT BE HELD RESPONSIBLE FOR ANY CONSEQUENCES TO YOU OR ANY THIRD PARTY THAT MAY RESULT FROM TECHNICAL PROBLEMS OF THE INTERNET, SLOW CONNECTIONS, TRAFFIC CONGESTION OR OVERLOAD OF OUR OR OTHER SERVERS. WE DO NOT WARRANT, ENDORSE OR GUARANTEE ANY CONTENT, PRODUCT, OR SERVICE THAT IS FEATURED OR ADVERTISED ON THE SITE BY A THIRD PARTY. 13.3. TRUSTED KNIGHT DOES NOT WARRANT, ENDORSE OR GUARANTEE ANY CONTENT THAT APPEARS IN A USER SUBMISSION, AND DOES NOT MAKE ANY REPRESENTATION OR WARRANTY WITH RESPECT TO, AND DISCLAIMS ALL LIABILITY FOR, ANY SUCH CONTENT. 13.4. YOU SPECIFICALLY ACKNOWLEDGE THAT TRUSTED KNIGHT SHALL NOT BE RESPONSIBLE FOR THE USER SUBMISSIONS OR CONDUCT (INCLUDING DEFAMATORY, OFFENSIVE, ILLEGAL, OR NEGLIGENT CONDUCT) OF ANY SITE USER OR OWNER OR HOTEL OR APARTMENT STAFF AND THAT THE RISK OF HARM OR DAMAGE FROM THE FOREGOING RESTS ENTIRELY WITH YOU. 13.5. YOUR RELIANCE ON, OR USE OF, ANY USER SUBMISSION, OR INTERACTION WITH ANY SITE USER OR OWNER, IS AT YOUR SOLE RISK. IF YOU HAVE A DISPUTE WITH ANY SITE USER OR OWNER IN CONNECTION WITH THE SITE OR ANY USER SUBMISSION OR ANY BOOKING, YOU AGREE THAT TRUSTED KNIGHT IS NOT LIABLE FOR ANY CLAIMS OR DAMAGES ARISING OUT OF OR CONNECTED WITH SUCH A DISPUTE. TRUSTED KNIGHT RESERVES THE RIGHT, BUT HAS NO OBLIGATION, TO MONITOR ANY SUCH DISPUTE. 14.Limitation of Liability.14.1. TO THE FULLEST EXTENT PERMISSIBLE BY LAW, TRUSTED KNIGHT SHALL NOT BE LIABLE FOR ANY DIRECT, INDIRECT, EXEMPLARY, SPECIAL, CONSEQUENTIAL, OR INCIDENTAL DAMAGES OF ANY KIND, OR FOR ANY LOSS OF DATA, REVENUE, PROFITS OR REPUTATION, ARISING UNDER THESE TERMS OR OUT OF YOUR USE OF, OR INABILITY TO USE, THE SITE, EVEN IF TRUSTED KNIGHT HAS BEEN ADVISED OF THE POSSIBILITY OF SUCH DAMAGES. Some jurisdictions do not allow the limitation or exclusion of liability for incidental or consequential damages, so the above limitations may not apply to you. 14.2. IN NO EVENT SHALL THE AGGREGATE LIABILITY OF TRSTED KNIGHT FOR ANY DAMAGES ARISING UNDER THESE TERMS OR OUT OF YOUR USE OF, OR INABILITY TO USE, THE SITE EXCEED THE TOTAL AMOUNT OF FEES, IF ANY, PAID BY YOU TO TRUSTED KNIGHT FOR USING THE SITE DURING THE THREE (3) MONTHS PRIOR TO BRINGING THE CLAIM. 15.Indemnity. You agree to defend, indemnify and hold harmless Trusted Knight and our affiliates, and our respective officers, directors, employees and agents, from and against any and all claims, damages, obligations, losses, liabilities, costs and expenses (including but not limited to attorney’s fees) arising from: (i) your use of, or inability to use, the Site; (ii) your User Submissions; (iii) your interaction with any Site user, Prospective Guest, Guest, Owner or hotel or apartment staff; or (iv) your violation of these Terms. 16.Term and Termination. These Terms are effective until terminated by Trusted Knight or you. Trusted Knight, in its sole discretion, has the right to terminate these Terms and/or your access to the Site, or any part thereof, immediately at any time and with or without cause (including, without any limitation, for a breach of these Terms). Trusted Knight shall not be liable to you or any third party for termination of the Site, or any part thereof. If you object to any term or condition of these Terms, or any subsequent modifications thereto, or become dissatisfied with the Site in any way, your only recourse is to immediately discontinue use of the Site. Upon termination of these Terms, you shall cease all use of the Site. This Section 16 and Sections 6 (Intellectual Property Rights), 7.3 (License to User Submissions), 11 (Privacy), 13 (Warranty Disclaimers), 14 (Limitation of Liability), 15 (Indemnity), and 17 (Independent Contractors) to 19 (General) shall survive termination of these Terms. 17.Independent Contractors. 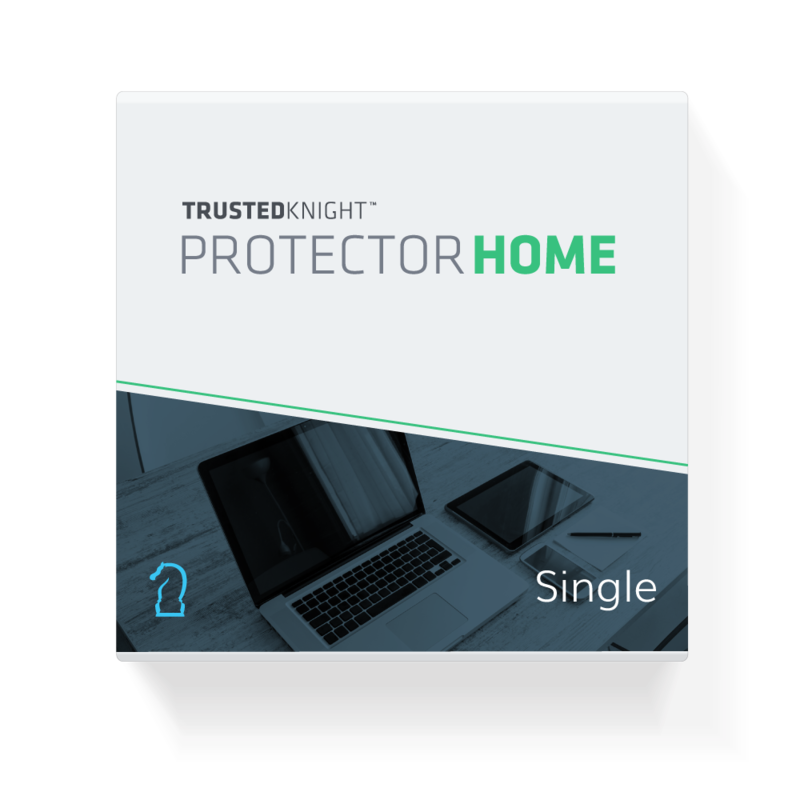 You and Trusted Knight are independent contractors. Nothing in these Terms creates a partnership, joint venture, agency, or employment relationship between you and Trusted Knight. You must not under any circumstances make, or undertake, any warranties, representations, commitments or obligations on behalf of Trusted Knight. 18.Assignment. These Terms, and any rights and licenses granted hereunder, may not be transferred or assigned by you but may be assigned by Trusted Knight without restriction or notification to you. 19.General. Trusted Knight reserves the right to discontinue or modify any aspect of the Site at any time. These Terms and the relationship between you and Trusted Knight shall be governed by and construed in accordance with the laws of the State of Israel, without regard to its principles of conflict of laws. You agree to submit to the personal and exclusive jurisdiction of the courts located in Tel Aviv-Jaffa and waive any jurisdictional, venue, or inconvenient forum objections to such courts, provided that Trusted Knight may seek injunctive relief in any court of competent jurisdiction. These Terms shall constitute the entire agreement between you and Trusted Knight concerning the Site. If any provision of these Terms is deemed invalid by a court of competent jurisdiction, the invalidity of such provision shall not affect the validity of the remaining provisions of these Terms, which shall remain in full force and effect. No waiver of any term of these Terms shall be deemed a further or continuing waiver of such term or any other term, and a party’s failure to assert any right or provision under these Terms shall not constitute a waiver of such right or provision. YOU AGREE THAT ANY CAUSE OF ACTION THAT YOU MAY HAVE ARISING OUT OF OR RELATED TO THE SITE MUST COMMENCE WITHIN ONE (1) YEAR AFTER THE CAUSE OF ACTION ACCRUES. OTHERWISE, SUCH CAUSE OF ACTION IS PERMANENTLY BARRED. Thank you for joining the Trusted Knight update list. Save 30% when you purchase a 2-year subscription!